The Ormond Realty Pros Team are experts in Ormond Beach Homes For Sale. As a residents and with over 40 years combined experience in residential and commercial real estate, Ormond Realty Pros Team can assist any Buyer or Seller with making the right purchase or receiving the highest possible sales price in the Ormond Beach real estate market. 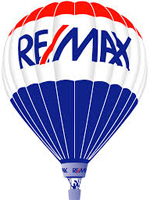 Feel free to view Ormond Beach Homes For Sale in the below links.